Seyi Makinde charges PDP Members to work harmoniously, Donates 18 seater bus to party. 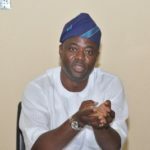 The Oyo state PDP governorship aspirant Engr Seyi Makinde has urged party leaders and stakeholders in the state to work harmoniously in order to ensure victory in 2019 for the Party. He disclosed this at the expanded stakeholders meeting at Party Secretariat in Ibadan where state Exco and all local government Chairmen present. He emphasised that the party is expecting more defectors in couple of days as the party remains the only hope of the masses in 2019. He later advised the party leaders to show more commitment and give direction to the party members at the grassroot level on ways to victory. 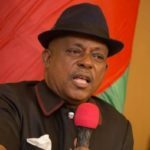 He later donated 18-seater bus to aid party activities in the state. In his response on behalf of the party, Hon Wasiu Adeleke thanked Engr Seyi Makinde for this laudable donation and enjoined others to emulate the kind gesture. 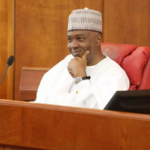 Among party bigwigs at the meeting were, State party Chairman, Alhaji Omokunmi Mustapha, , Senator Ayo Adeseun, Senator Hosea Agboola, Hon Busari Olayemi, Rt Hon Mulika Adeola, Rt Hon Muraina Ajibola and Chief Sunday Ogunlade to mention a few. APC is in firm control, Says Abudullai as party reacts to Defection of members.